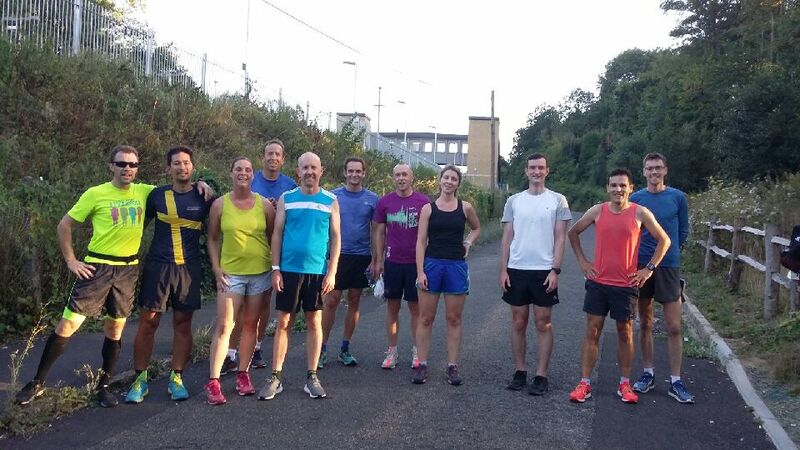 This month’s hot and sticky club time trial saw 10 fearless contenders slug it out for the £20 prize pot. Amongst them were 2 newcomers to the event, Jude and Jesper. Our winner this month was Owen, followed closely by Jon and Gary (Gary’s second podium finish in 3 events). Results of all events to date can be found below. Congratulations to everybody who took part and many thanks to David, James B, James W, Penny, Philly and Rachel for their services as volunteers over the past three months. This event gives all club members, regardless of speed or experience, an equal chance to win the monthly prize. Both male and female members compete against each other based on their previous best time over any race distance, with faster runners starting last. The next event will be held on Thursday, 6th September and will be our last race of the year so please come along and take part.